My friend, Julianne, is expecting her first baby this December. Yay! I am so happy for this amazing couple. And I am really looking forward to getting my hands on baby Tuppy as soon as possible. Although, I was much younger when I gave birth to my first baby, it is still kind of something for me to realize my daughters' friends are getting married and having their first babies now. Anyway, my darling, and oh so practical friend, asked me for a list of the items baby really needs versus what is simply fluff? And oh, I love this question! Because in my 23 years of parenting 9 children I've seen a lot of gadgets intended to aid the new parent come and go. And right along with it lots of the new parents hard earned, and usually very limited, income go right out the window. One of my very favorite baby gifts was a keepsake our friend made which included a photo of Addison's feet and a favorite scripture verse. His feet are still my favorite feature second only to his stunning blue eyes. So to have them preserved and on display just makes me happy. The fact that her loving hands put it together made it all the more special. Other ideas for friends and family who insist on gift giving could include: a deposit in Tuppy's college fund, a gift to a crisis pregnancy center, a gift certificate for a new born photo session, coupons for babysitting, gift cards to real restaurants that serve real food carryout style, diapers, wipes and other disposable items. These are things I personally found helpful, anyway. 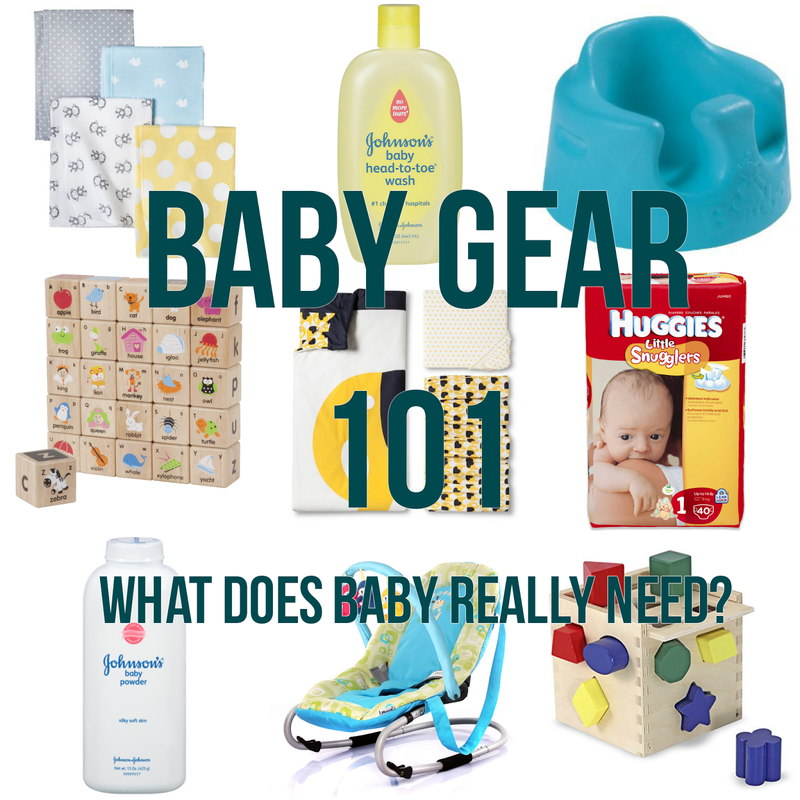 Truly as I started writing this post I quickly realized it could be three or four posts including one of what baby needs and a post of what baby does not need. Because as I was writing I realized a lot of what you will bring home for baby has a lot to do with your parenting style. And you can't be a reader here for long without knowing I have a lot to say on parenting. So I would consider this part one in a series because there are some items, such as the best books for baby, that just have to have their own post... because it is simply too much fun. And there are others which really require a lot of discussion such as why you should not buy baby seats and monitors. When Kaitlin was born I had a bassinet, a car seat, a few hand me down outfits and a stock pile of diapers. When she developed an allergy to disposable diapers this became cloth diapers which were leftover from when my siblings and I were babies. As she got older we added a crib and dressing table (handed down from my aunt) and a buggy. When she started eating, a thrift store high chair salvaged from a diner in the 50's found its way to our dining room. I would venture to say she somehow made it through not only her early years but into adult hood with some semblance of stability. With that being said, you can call me old fashioned but the whole idea of a baby registry seems over the top. I am sure it was intended to help new moms provide their little ones with what they need to get started. However, it seems to be more of a way to get new parents and their well meaning friends and family to buy a lot of junk baby doesn't really need. This point is well depicted by the vast numbers of these barely used items filling Good Wills all over the nation. In addition to wasting valuable resources which would be better spent on investing for future needs, college, or even a trip to Walt Disney World (when your little one reaches four or five), some items really interfere with our ability to parent and can even be harmful for baby's well being. Take for example all those products designed for baby to sit in... bouncy seats, saucers, musical seats, swings, etc... How many places does a 7 pound person need to plop their bottom? Seriously, outside of our dining room our family of 11 has 5 places to sit on the main floor of our house. I've been in homes in which one little baby has as many seat contraptions just in the living room. Crazy! Not only is it crowded it is not necessary and, in my opinion, detrimental to your baby's development. When not sleeping, eating or spending time with family, the best place for your baby is on a blanket on the floor where they can stretch, develop their muscles, explore and strengthen their backs. This type of exploration not only develops their bodies it helps them learn and build their brain. This floor time is even more critical in these days when parents are encouraged to always put baby on her back to sleep. Addison's physical therapist once shared how she has had a huge number of otherwise perfectly healthy kids in therapy because they were always on their back in bed and in little "convenience" seats during playtime. When on their tummy, naturally curious babies lift their heads and arch their backs to check out the world around them. This is essential to the development of core and back muscles necessary for crawling and walking. Therefore kids who are not allowed adequate time on their tummies do not crawl or walk on time and end up in physical therapy. If there are times when baby needs to be upright or if, like me you like to have your little one on the counter while you cook dinner, use your car seat. This is great because you get more use out of an already over priced item which takes up a lots of extra space when not in use. And what about all the seats (and while I am at it I will throw in all gadgets and toys) meant to soothe a "fussy" baby? I have two thoughts on such things. 1- Most, not all, but most fussy babies are the product of poor training, someone jumping to pick baby up at the first sound they make when they were simply trying out their voice and she would have otherwise settled it on her own in a few minutes. A child whose needs have been met, and this includes the very real need of play time with mama, will rarely be fussy. Not to go too far off topic, but the added benefit is that when a baby is well trained and his needs are being adequately met you can quickly know if something is wrong when baby does fuss. 2- If baby is fussy, and it is not an issue of training, perhaps instead of trying to soothe baby in some new fangled seat contraption we should pick her up and enjoy some precious time in the old fangled rocking chair singing, reading scripture and snuggling. Those days zoom by way too fast and you will never be sorry for having a few more extra minutes of these special times. Plus, you will be thanking me when you have one less corner of your house filled with baby gear. Stop by tomorrow to learn why you should not have a baby monitor in your nursery.